I would love to see you render an A9 Vigilance. Ah, KDY’s attempt to (retroactively) reenter the ultralight fighter market. That one might not need much tweaking besides a non-2D range of motion for the chin guns. This feels very Elite:Dangerous to me. Which, is even more awesome. (the viper IV, in particular). Now this is getting somewhere to earn the ship its name! The origin story of how the name came to be is always disappointing when you learn what the fighter turned out to be: low maneuverability damage sponge. If I could say I’d add more to this design, it’d be some large air “intakes” for the engines, maybe the cannon can be the turbine cone or something; all contributing to the vision that the machine will produce a chilling howl when it flies – moreso than the TIEs, that is. As I recall from the Essential Guide’s fluff text, this thing was actually fairly nimble-just not heavily armed or boasting bleeding-edge thrust. Basically the EU’s equivalent of an avionics-updated MiG-21. But it can’t be as nimble as a TIE can it? 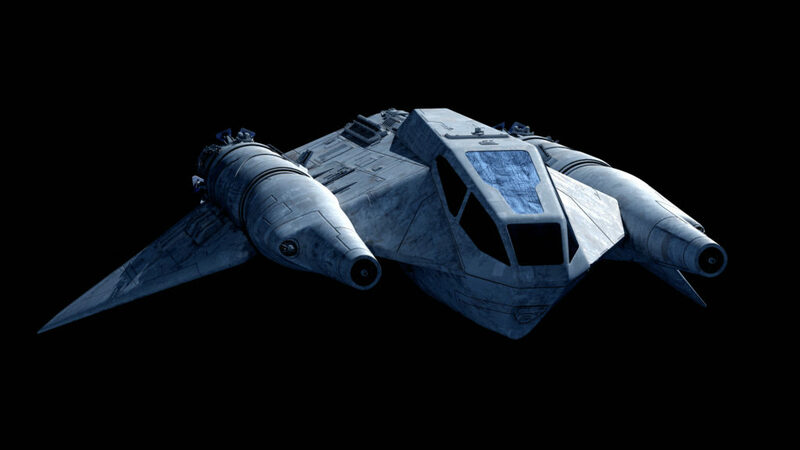 I think I’ve read somewhere that it’s kinda the Empire’s attempt at make a hyperspace capable/shield equipped snubfighter? The size of its blaster cannons seem to indicate it’s some amount stronger than TIE’s on cannons. Funny thing is, as discussed further down this comment section Sienar might’ve gotten a real jump on everyone else in the fighter-scale market WRT miniaturization whilst retaining competitive firepower. Plus, A-wings & a number of Clone Wars birds seem to match *most* TIEs’ acceleration (though with no small number of tradeoffs). New designs coming in so fast these days, I can’t even keep up commenting. The Howlrunner is a good one and the Lancer was magnificent! Btw. dropped you an email about that fbx the other day. Not sure you received it. The original howlrunner looked terrible, this however, is quite the improvement! 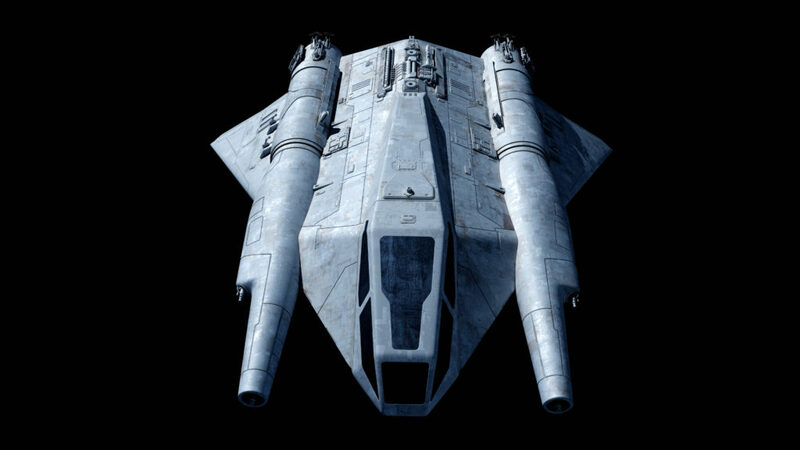 Call me crazy, but this design always reminded me of the Terran Starfighter in Buck Rogers in the 25th Century. Weren’t they from/inspired from or related to the same Macquarrie concept sketch? I think they were. I remember seeing that mentioned somewhere. Yup. He designed it for BSG. Here’s some background from the guys who built the physical models. 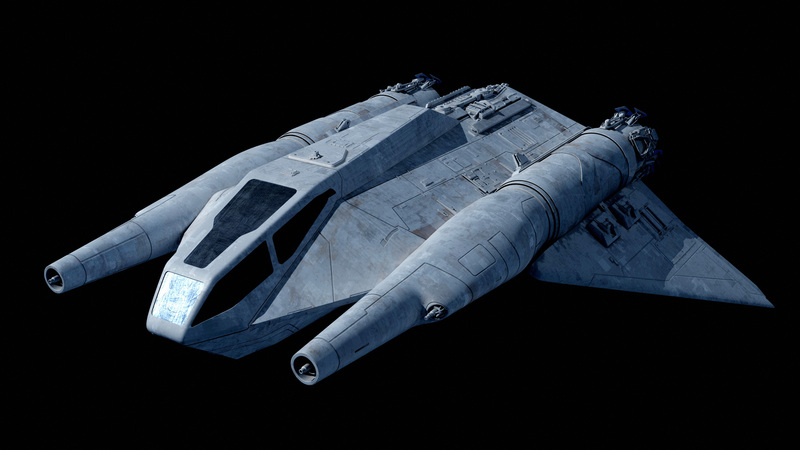 McQuarrie Viper concept that became the Thunderfighter. Lovely art in general & background solar wind(? ), though sweet Sithspit does that cockpit look cramped. I-7s as parasite-drone bomber escorts? Neat thought, though I wonder if the saved life-support space would enable a bare-bones hyperdrive installation. Might as well give one’s little buddies some chance to escape losing battles. Dunno if I’d have cranked the wingtips that far down, but sweet Sithspit is that nose/fuselage blending an upgrade from the old Essential Guide’s ‘spaceborne taser with cockpit’ look. I take it those are targeting sensors in the wingroots? Ooh, good eye. Certainly wouldn’t hurt for planetside work. Yes, they can swing up, but mostly for compact storage in a hangar. 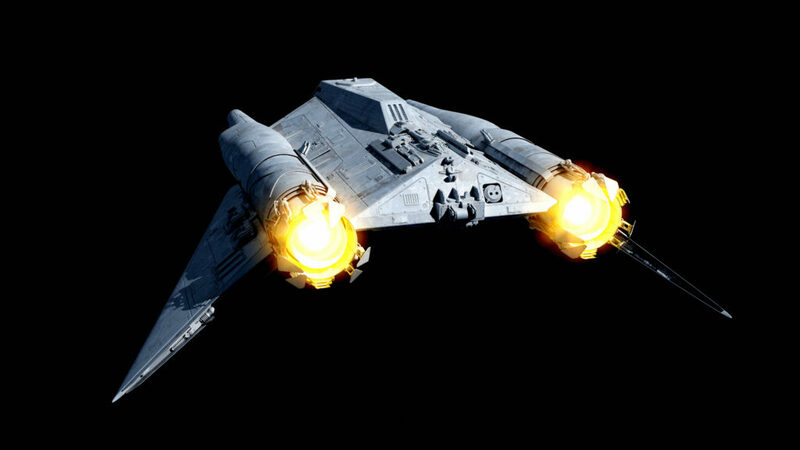 As someone who always eyerolled at that ‘targeting’ explanation for all the Interceptor’s apparent extra gunports, I’ll go with the extra autoblasters-certainly enough nose space on this thing for all the sensors it’d need. Great work! 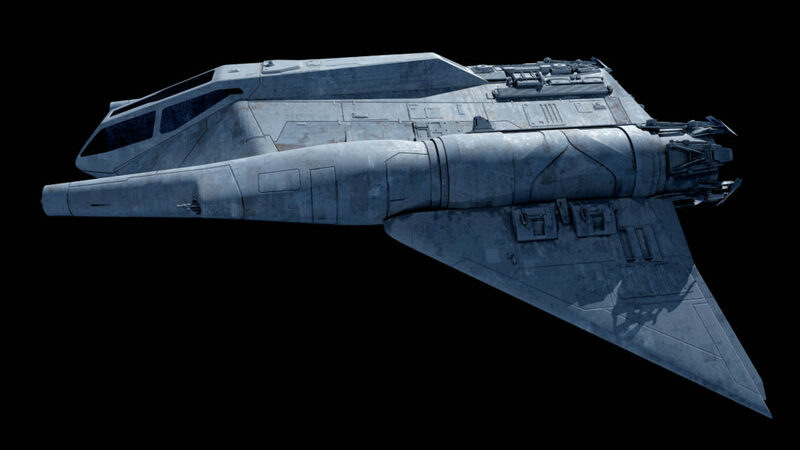 I can just imagine this puppy making strafing runs on rebel bases (in conjunction with TIE bombers or Scimitars). So what the Howlrunner’s role is? Not WEG apparently, or Neill here would have committed it to memory. Actually, the I-7 is sufficiently obscure in-game that I had to double-check. But WEG did “get there first” in pretty much everything prior to the prequels. This was always an issue I had with a lot of starfighters. They were never really a match for the tier 1 fighters like the X-Wing. They always seemed to be just not good enough. 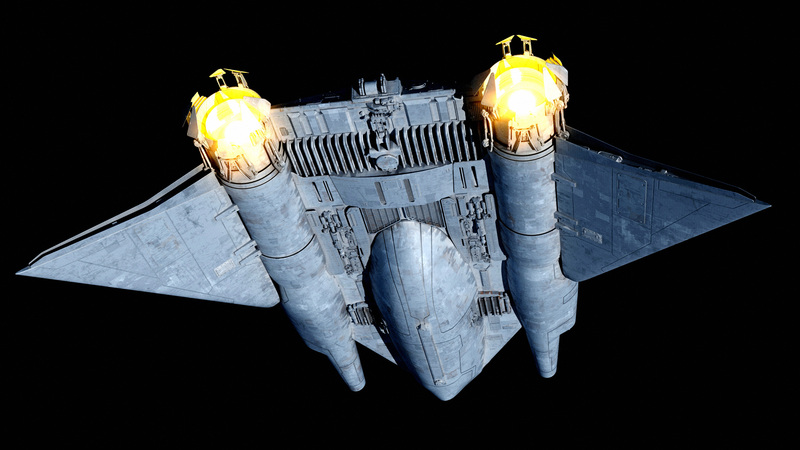 The heavy fighter niche is much better filled by the TIE Avenger, but in the wholesale destruction that ensued during the true Imperial Civil War, it would be plausible that the various squabbling factions lost access to the Avenger and had to settle by buying whatever they could from the private sector to replenish their fighter wings. 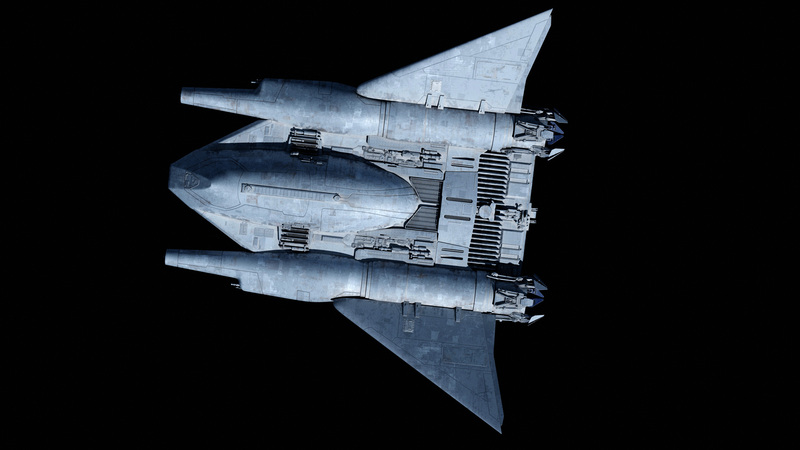 Various & sundry neutral/space-mafia/Hutt-affiliated parties (yeah, I know the last two overlap a lot) might also be in the market for a passably-performing compact bird. I suppose something has to replace the venerable Z-95 in the role of generic 3rd party fighter. Amazing work. Makes me wish the game stats weren’t for a short-range starfighter only. Of course, after the X-Wing fiasco, Incom would most definitely have wanted to play it safe so as to avoid Imperial displeasure. Well this new cockpit and fuselage certainly is a big leap forwards over the previous art, and probably a substantive enough change that this would be an I-7B variant, or even an I-8. With all that room for power plant compared to a TIE, I’m surprised that you didn’t also add a couple of more guns. Those lasers might be substantially punchier than /ln guns, unless Sienar’s TIE weapon-powerplant tech is so ludicrously miniaturized (and patented) other companies need several times the equipment space for comparable yield. 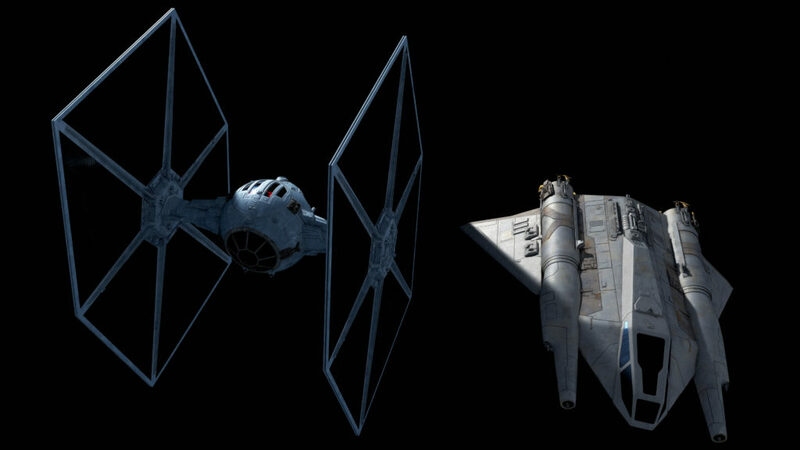 Most interpretations of the TIE/ln don’t portray it as much less well armed than an X-Wing, which has twice the guns, each of which take up much more volume. Sienar must be doing something right, although Kuat’s V-Wing got it right first. Compared to TIE, A-, Y- & even B-wing lasers, I’ve been wondering if the X was deliberately over-gunned for shuttle/light freighter/corvette-scale targets. Sienar lasers do strike me as more proportionally efficient, though now I’m pondering what extra juice the wingtip-laser designs (squint/Avenger/Defender) might pack. 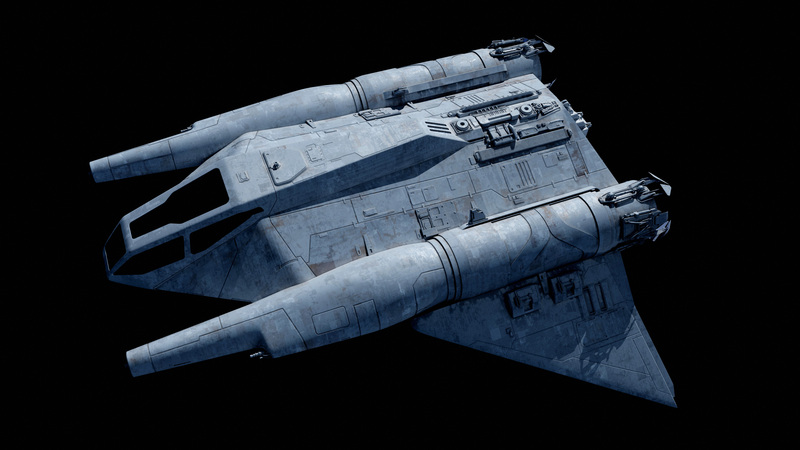 V-wing might have been much less well armed – trade full combat shielding for massively souped up main armament? But yeah, TIE fighters die to 1-2 solid hits from an X-Wing, and X-wings that have full combat shielding die to a single TIE rapid burst. So while we know nothing serious about OT fighter gun yield, I think in results there’s not much to choose from there. To squeeze out another WWII analogy, might be like the variation ‘tween 20mm & 30mm cannons, though of course the latter’s fire-rate/ammo-reserve problems wouldn’t apply to anything laser-based. How about the difference between 20mm and .50 cal? F4 and F6 Hellcats were equipped with six .50 cals, while Zeroes were equipped with a pair of .303 cal. machineguns and a pair of 20mm cannon. It’s not outside the realm of possibility for a fighter to mount both heavy guns to deal with large, tough targets and light, rapid-fire guns to deal with small, maneuverable targets. It works here, too, as the I-7 is clearly intended as a heavier fighter than the regular TIE, perhaps as a combination of the TIE/ln and the heavy gun TIE/br from Solo. Cost? Perhaps the tech is there to design and build a multi-purpose weapon like that, but it’s too expensive to mass-produce on the scale needed to field a pan-galactic military force equipped with it. Or, more accurately, more than the Empire is willing to spend to equip a mass-produced well-nigh-disposable starfighter corps with. I would argue that there’s strong cinematic evidence that your default TIE guns already have that capability. At the beginning of Yavin, a single bolt from a TIE turns an X-Wing into an expanding pile of vapor, but as the battle draws on, both sides exhaust their stored capacitors. Near the ending, there are a couple of cases where fighters take hits and damage is far more limited to things like starboard engines, R2-D2, and whatever damage Wedge took that caused him to disengage. An alternate theory: there are either two sub-variants of the standard TIE fighter – one with lighter, rapid-fire lasers, the other with heavier, slower firing cannon – that are visually indistinguishable from each other, or the cannon section on the bottom of the TIE can be swapped out and equipped with a variety of different mission-specific cannon (ion cannon for capture missions, maybe). Between the Striker’s extra pair of heavy chin guns & those ESB /lns demonstrating an oddly conservative fire rate during the asteroid chase, you might (again) have something here. Hell, at one point (right before the sideways canyon bit) some of those shots even seem to use turbolaser SFX (for what that’s worth). The ESB chase is pretty easily justified as strict orders to maintain contact and support elements of the fleet in an attempt to catch the Falcon intact, rather than blasting it into vapor. I’m sure the pilots didn’t like the rules of engagement, but they can take it up with Vader. Plausible, though in that case the light gunners on Avenger were playing a rather hairy game-an attempt to knock out engines without compromising Our Heroes’ life support? It’s possible the ESB TIEs were an updated version of the TIE/br from Solo, with the harder hitting laser cannon being sufficiently miniaturized that they could be mounted in the “chin” instead of a side-pod. I get the impression some of those later hits (‘specially anything involving the trench runs) were mitigated by doubled-up aft shields (both literal & main-character variety), but you might be on to something. I took a similar approach to explain the overgunning on the Interceptor. Short version, the lasers on the wings are the main armament, but the cannon mount at the base of the cockpit is modular, and can be fitted with concussion missile tubes, an ion cannon, an auto-blaster (for missile intercept), a shield generator, a ferry tank or a grapple line launcher (ala the Interceptors in Zahn’s Vision of the Future). Besides the power-budget issues, I can see certain issues WRT flight-path predictability & evasive maneuvers for fighters tractoring similar-mass prey. You’d want to be damned sure of local superiority and/or wingmate coverage. I think of it more in terms of relative maneuverability, not absolute, kinda like waterskiing behind a boat. You don’t have the power to stop the boat, but you are attached to it, and the rope is pointed line-straight from you to it. With fighters, the tractoring fighter would effectively be getting towed by his target, with his bow pointed dead-on at it, like a rope, making it a lot easier to target with lasers / ion cannon. Might be worth it against extra-slippery/shielded targets, though now I’m wondering if towed/detachable decoys could make for a handy countermeasure (ala Luke spoofing the Chimera’s tractor lock with proton torps in Dark Force Rising). Still strikes me as a system safer left to one’s RIO/WSO equivalent (if present), though it might make bomber & gunboat drivers’ lives easier. Something along the lines of the concussion missile launchers on the A-Wing from the ICS books, maybe? Missiles that small should easily fit into the housing. I’ve always had this vague sense of disappointment with the Howlrunner, as if it should somehow be more than it is. There’s simply no sense of excitement to it. Its not a BAD sufighter, it just feels meh. That is extremely appropriate considering its history, and was likely stumbled upon by the original artists. I will admit the name’s lightyears too cool for that bird. Welcome to defense procurement after the private sector has unleashed the marketing department. This and the E-wing are probably my least favorite Legends EU ships, but you managed to make it look pretty good. Not going to say I love it, just love that you were able to salvage the design. The biggest thing I disliked about the E-Wing was the engine placement. Putting the engines that far below the center-line of the ship creates off-axis thrust problems in zero-g. If the engines were moved up to the wing roots, ala the ARC-170, it’d make a lot more sense. 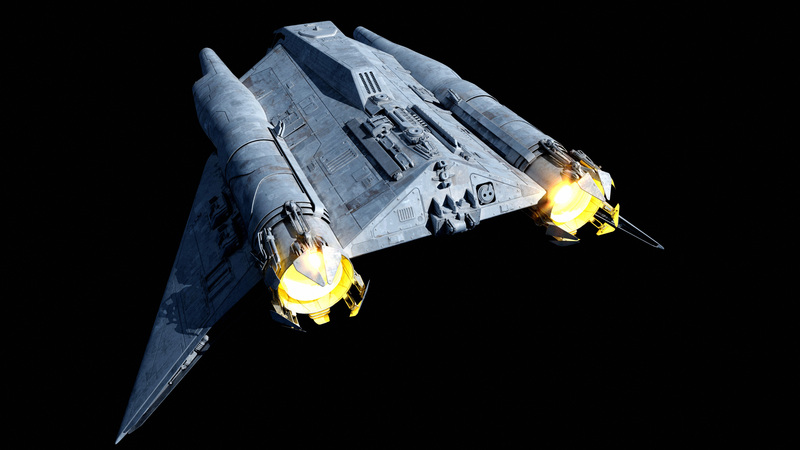 Maybe moving the laser cannon up to the angle in the wing, too. Yeah, the fact that Fractal would eventually be able to cook up the Secutor from an anonymous blob in the background makes the rest of the dodgy art worth it to me. The Bellator is the greater prize from those comics. Even now, I routinely see it appear (almost always uncredited) in random parts of the internet. Just today it was on /r/starcitizen, out of all places. They’d make great hyperspace lane sweepers/plows. Clearing out stray asteroids, hydrospanners, R2 units, debris, etc. Especially in the deep core where you’ve got extremely restricted space lanes. Makes sense to have the equipment in place to maintain them! That’d work, too. On a smaller scale, this method would certainly work for the second Death Star; if Endor is a moon orbiting a gas giant, then there will likely be multiple other moons or asteroids nearby for easy resource extraction and manufacturing. It makes a lot more sense than shipping all of the materials out to a remote, top secret worksite. 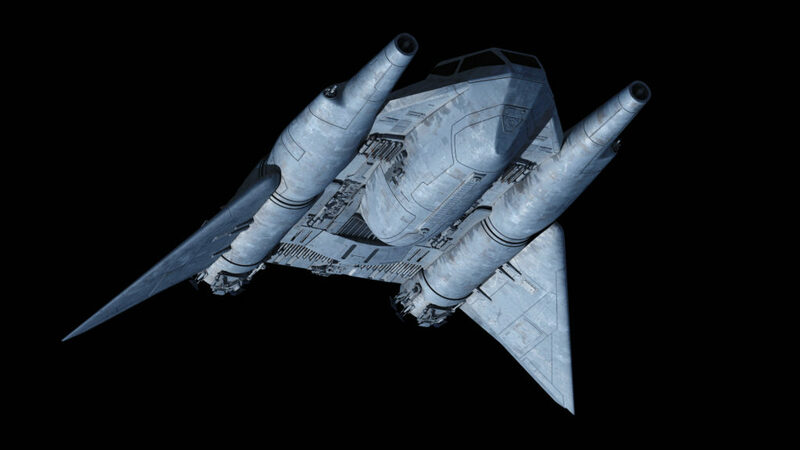 For no defensible reason I’ve got a soft spot WRT the ‘simpler fixed-wing T-65 cousin’ concept, but agreed on the cockpit cannon being pointless & its general aesthetics needing serious work. 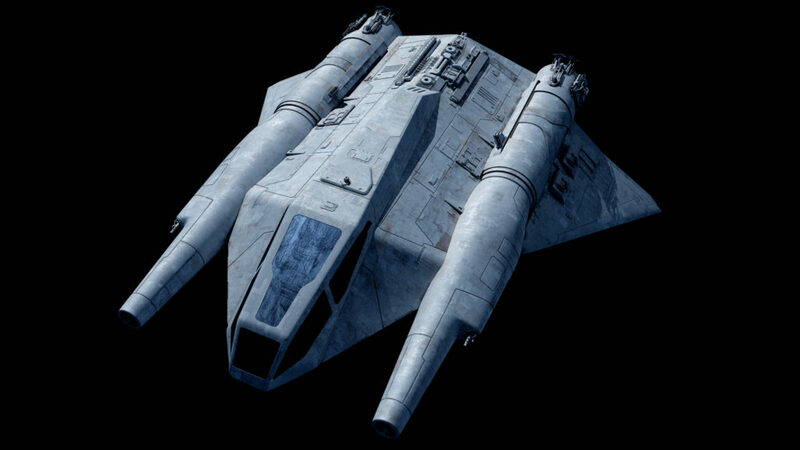 I keep visualizing a barely-Avenger/Defender-competitive rehash with the dorsal gun & astromech compartment deleted to fit a third thruster, the wing-engines compacted into smaller conformal pods & moved up to flank the centerline, and slightly forward-swept wings with triple lasers mounted around that bend at the tip. Missile magazine would be roughly chopped in half, but with modular capacity (i.e. 16 CMs for interceptor duty). And quite well, too. I should’ve clarified that support and logistics never get taken seriously /officially/. Only in TLJ did the possibility of ships running low on fuel finally get used, and even then they flubbed it. Considering that hitting supply convoys and other support functions is one of the few viable tactics a guerilla force can use, I’m surprised it hasn’t gotten more treatment. Way easier to stop or delay a multi-corps assault on a planet if you can hit the tankers before they fuel up the Consolidators and their escorts. That top cannon always rubbed me the wrong way as well…just my $0.02 but would have looked better with just he 2 cannons…eithat at the wingtips like they are or closer to the main body ala the BSG Viper. Agreed. The E-Wing is definitely a broken design,but it has a lot of potential. If Fractal can do this for the I-7, I’d love to see what he can come up with for the E-. A small, agile, fast and shielded interceptor that looks amaze, what’s not to like. As always, amazing work! This is wicked!! Kinda reminds me of a T-47 Snowspeeder. Love it!! Looks like an Imperial A-Wing, although i doubt that’s what it is. In-universe it’s a design Incom made for the Empire, which is why it *sort of* looks like a snowpeeder.